Dr. Ash Pahwa is an educator, entrepreneur, and technology visionary. He teaches ‘Search Engine Optimization’ and ‘Web Analytics’ courses at UC Irvine, and engineering courses at UC San Diego. He is the founder of eAxiom Software and A+ Web Services which provide an array of internet marketing services. His expertise includes web programming, digital image processing, database management, digital video, and data storage technologies. 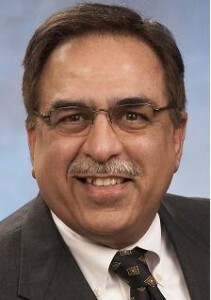 Dr. Pahwa developed “cellAnalyst” image analysis software for Microsoft’s Windows/.NET platform. cellAnalyst is available as a cloud computing resource online. With a grant from the National Institute of Health (NIH), he developed “iVision” which is an image database management system for storage and retrieval of biomedical images based on metadata, annotation, and content. Stephen Godfrey brings a wealth of experience in technical writing, ad copy writing, editing, content localization, and sales/product training to A+Web Services. During his career, he has held senior sales & marketing management positions with leading companies in the professional audio/video/multimedia products industry and the Samsung Internet Services division of Samsung America. Mr. Godfrey is the author of the book “Making Your Own DVDs” and various industry trade publication articles. He has conducted many product/sales training seminars and served as a panelist on various multimedia industry forums during the course of his career.